Melt my heart. Those are the best compliments!! 1. We made edible oceans! 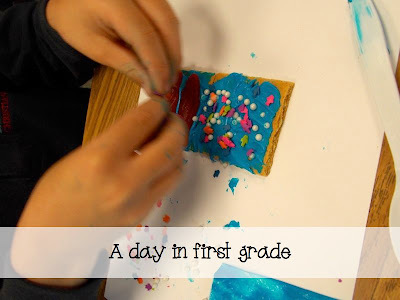 All you need are graham crackers, vanilla frosting (with blue food coloring), sprinkles and swedish fish. My kids looooooved this. 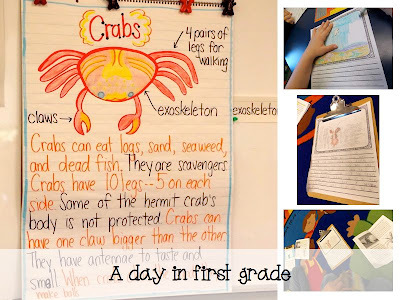 First, we read and watched a few videos on crabs. Then we created an anchor chart. 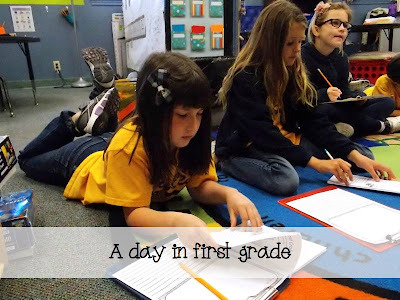 After, we read a Reading A-Z book on hermit crabs and then got to work writing all that we knew. 3. 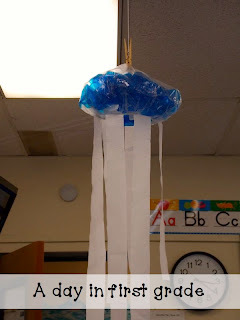 We made jellyfish to hang from our ceiling! 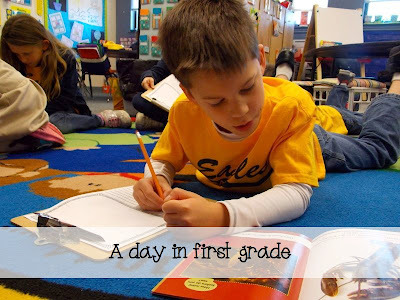 Third graders even stopped to look they are so awesome. 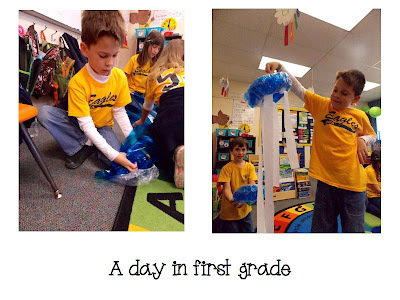 We took shower caps and stuffed them with colored cellophane and then stapled streamers to the inside. 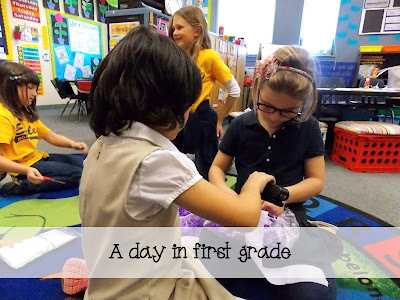 To do this, we partnered up and helped each other with our cutting and stapling. 4. 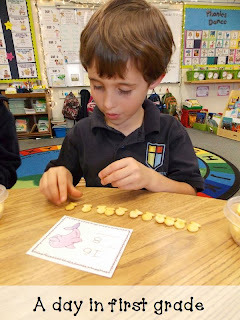 We have been working on large number subtraction problems. 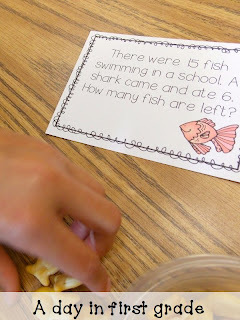 I made some quick subtraction cards and brought in goldfish to help with this. If you would like this, you can have it for free! Click here! 5. Finally, I am getting ready for my end of the year parent teacher conferences. This year I am putting together an envelope of goodies for each student. In the envelope, I am including weekly task books for my students to complete so they do not lose all that they have learned this year. 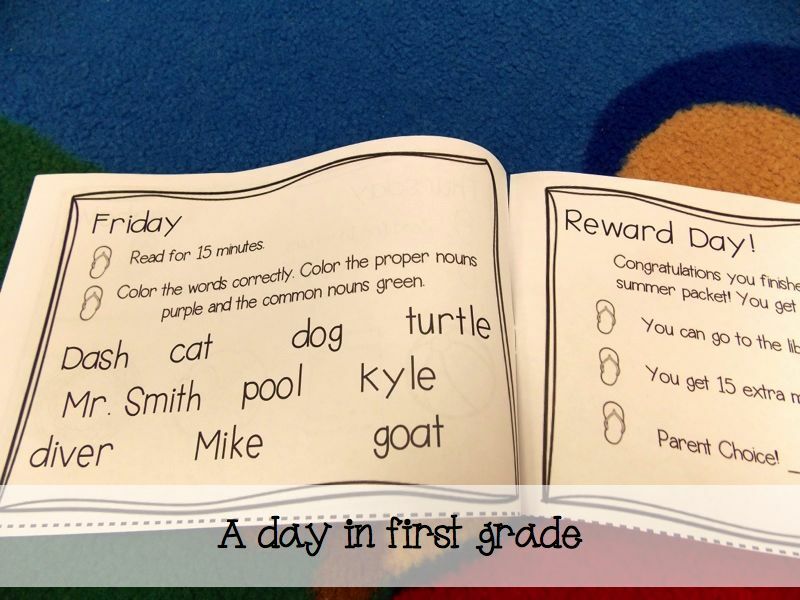 The books are in a fun format and include rewards! 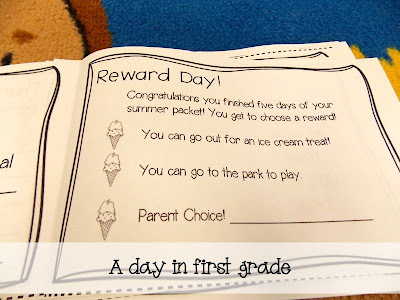 At my conferences I am going to give them to each parent and explain to them what the “Summer slide is” and how they can avoid it. To prepare for this, I have assembled all the booklets and put them in envelopes for each student. 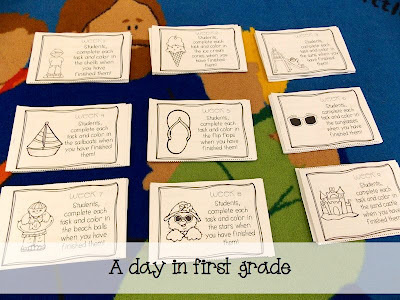 The books are only half pages which makes it easy to assemble and not intimidating for the students to complete on hot summer days. 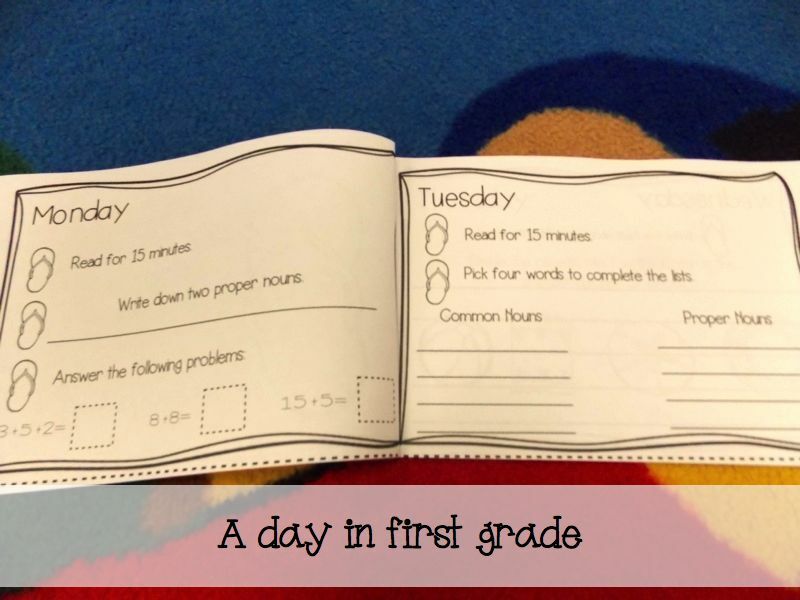 Each week has tasks for the students to do daily. 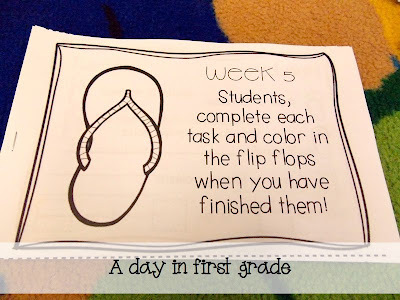 They are quick and easy but will help the students retain their skills. 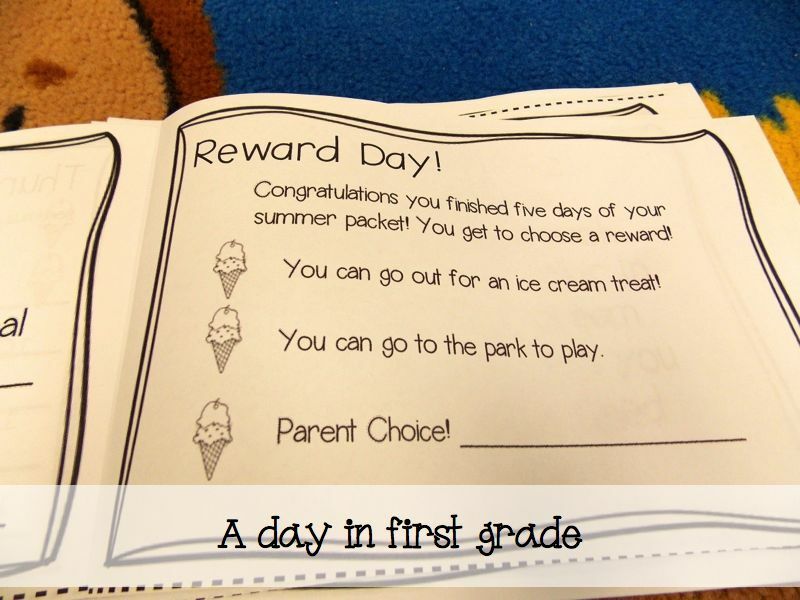 If students complete each page, they get to choose a reward for the week! 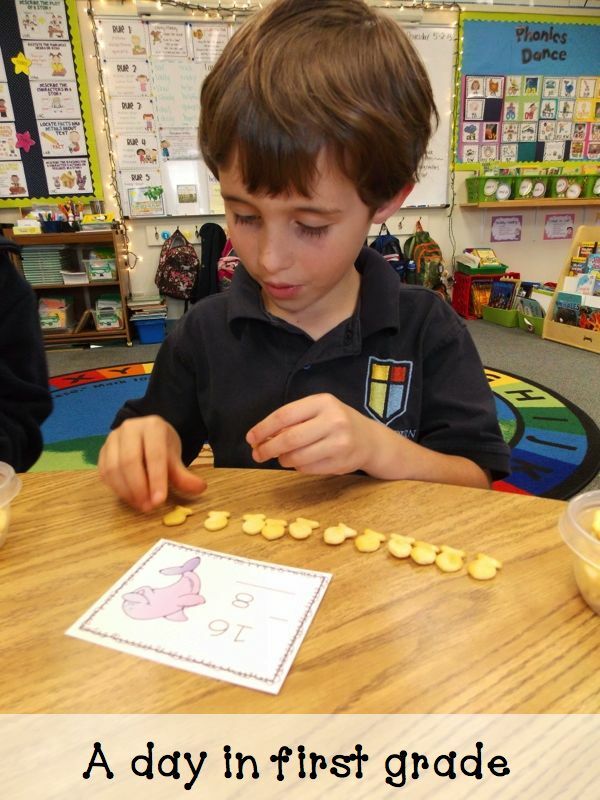 My parents always ask how they can help their child and here is an easy way to do it. 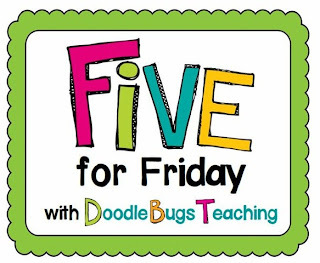 I also include a parent letter in this packet as well as extra reward ideas and information on how to implement this at home. If you are interested in this, it is available at my store. 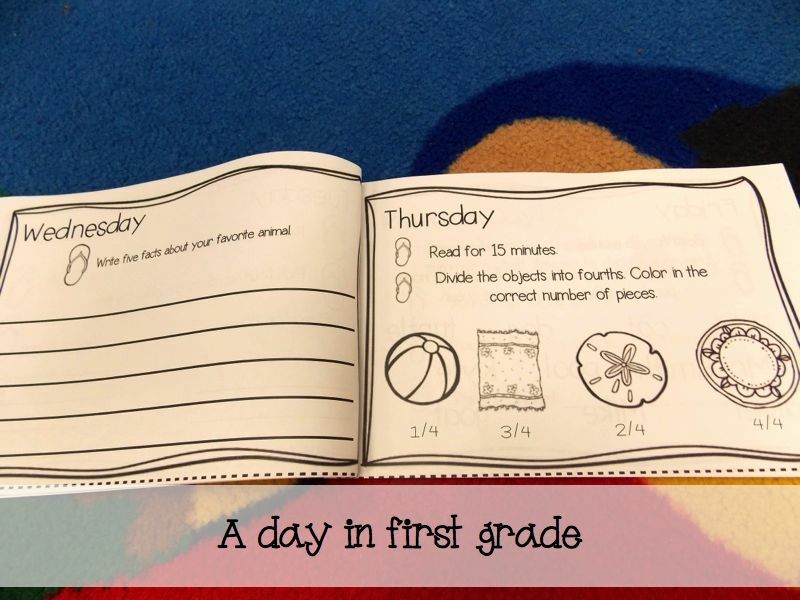 Click here to see more and to get a week worth of activities for free! Just download the preview to get the free week! 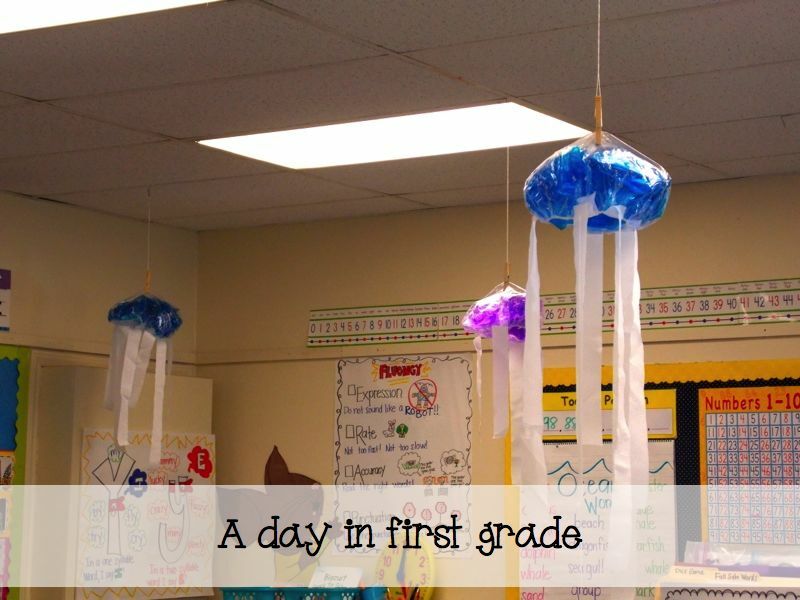 Love your jellyfish….and the fact that you are making them with 1st graders! 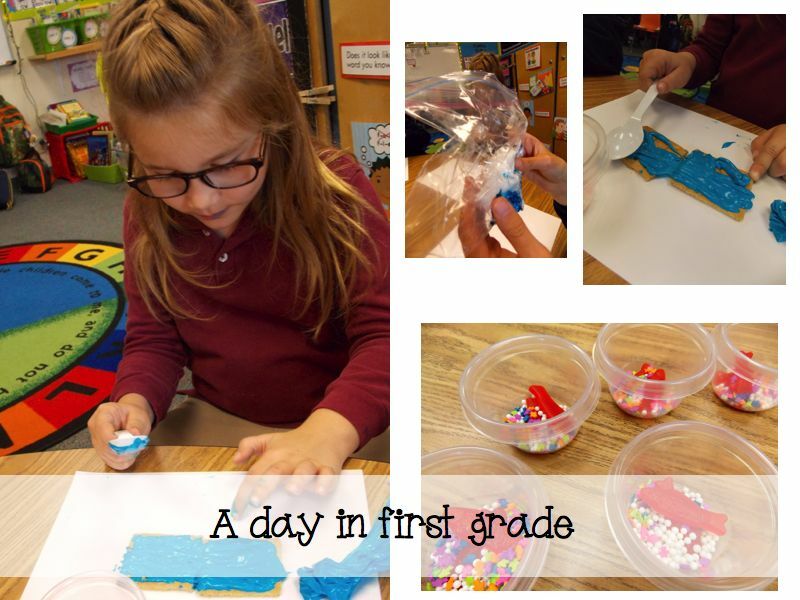 I am a former 1st grade teacher, I teach Pre K now and just made them with my kiddos. You could see it in the eyes of the older kids walking down the hall that they wanted to do it too! I also love your summer take home books! Great idea! Love all your activities ! I’m sure it’s no surprise we are learning about oceans as well . 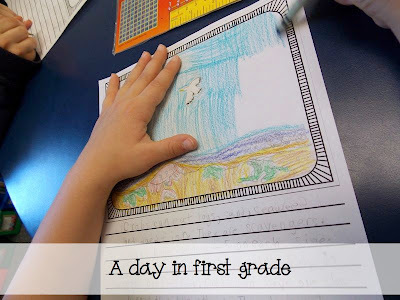 We went to the computer lab today and researched ocean animals on national geographic kids . , they lived it . We are going to write reports next week . I love your ocean ideas! 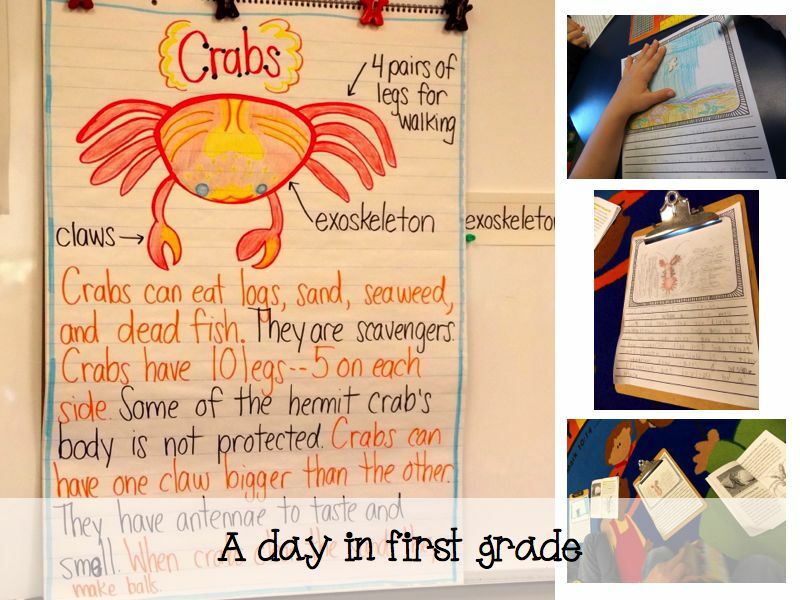 The crabs and jellyfish activities are fabulous! 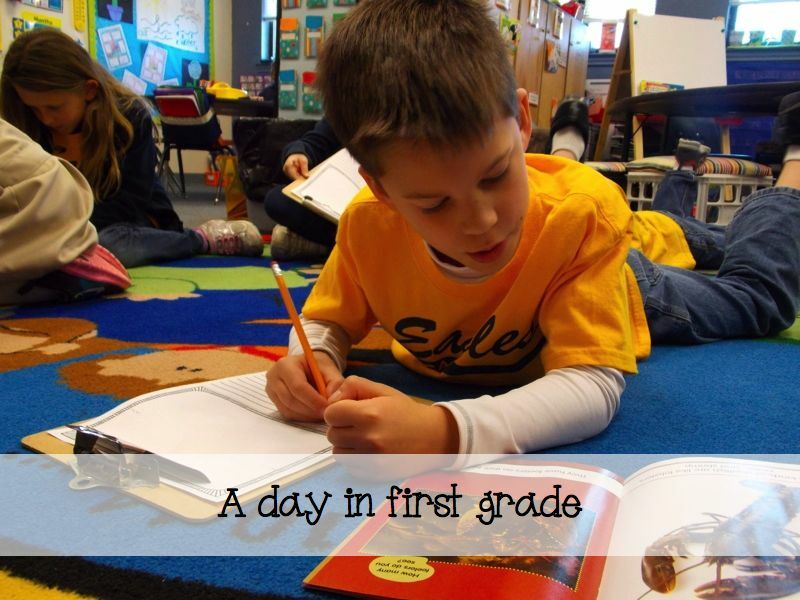 Great ideas for parents to use at home, too. I had a parent deny her child coming to our summer school program because she couldn’t work out the timing. So disappointed! I am in love with your jellyfish! We didn’t have a chance to do as much ocean things as I wanted to this year. 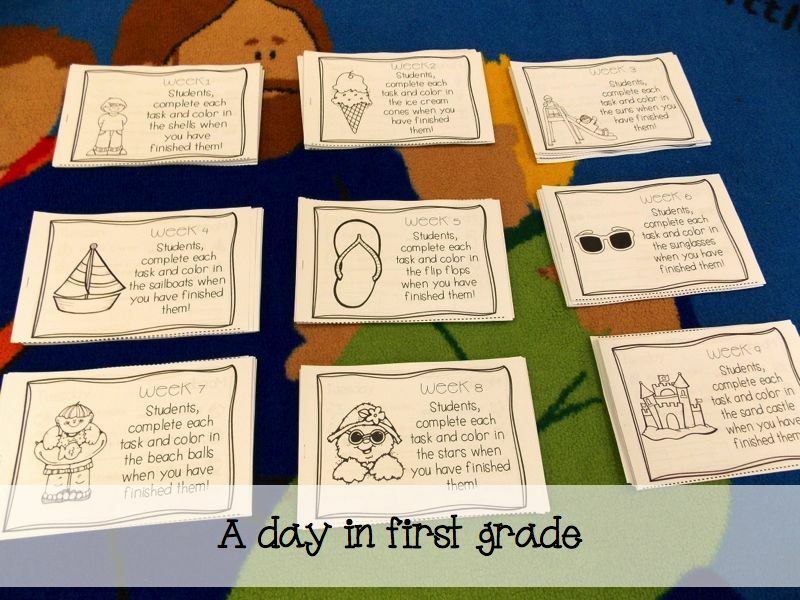 Will definitely be using some of these ideas next year. I am now your newest follower. LOVE everything about this Kristen. Those jellyfish were worth forgetting the streamers 🙂 LOVE LOVE LOVE!!! 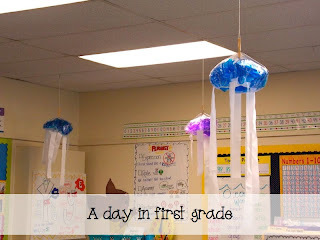 Those jellyfish are the cutest thing I have ever seen!!! I am obsessed!! !